Kensington and Chelsea SW Dry & Steam Rug & Carpet Cleaning Company | Quality Property Care Ltd. 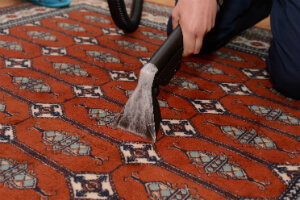 Hiring a professional rug and carpet cleaning company, and using its services regularly is a very good plan, especially if you or someone in your family suffers from pollen or dust allergies or has breathing problems. The quantities of dust mites, dirt, dust and germs in our carpets are actually quite shocking, so don’t wait to hire Quality Property Care Ltd., which delivers a top quality carpet and rug cleaning service in Kensington and Chelsea SW and the area. The rug and carpet cleaning company can also deliver: blinds cleaning, curtain cleaning, drapery cleaning, as well as bed bug mattress treatment and mattress cleaning , which will help get rid of the dust mites, allergens and kill off all germs. 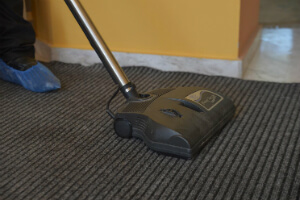 The firm offers commercial and residential carpet and rug cleaning at a competitive price tag. To get a free price offer in less than 2 hours, just get in touch with the expert customer care service or use the on-line form. Regarding rugs we clean Wool rugs, Persian rugs, Chinese rugs, area rugs, handmade rugs, Tibetan rugs, shaggy rugs, silk mix rugs, Indian rugs, Turkish rugs, Egyptian rugs, play rugs, entrance mats, floor mats, logo mats, antique rugs, industrial mats, rubber mats and anti fatigue mats. The company regularly spends a lot of resources into getting the most efficient, latest and safest carpet cleaning technological innovation. The cleaners are also regularly being coached to safely and properly use them, and to cope with a variety of spills and materials. For more delicate materials like cotton and silk we use a more gentle approach which does not rely on heat or moisture to remove a stain. Natural materials hardly ever react well to both heat and moisture so we are using a specific dry compound which is in a granulated form. The same process of stain and rug or carpet prepping applies as was explained in the hot water extraction procedure, allowing us to much better remove the spot. This time we pre-treat the stain with a specific detergent, specially selected for the sort of fiber we are cleaning. It’s put on and let to set into the spot. Once that is done we use the granulated detergent and spread it with a fine brush. This imbeds it into the fibers of the material pushing it into the stain. The dry ingredient is also let to set for 10 minutes after which we extract it using a high powered vacuum machine, eliminating 100% of the filth and detergent and filth. There is no trace left behind, leaving both your carpet and natural rugs fully cleaned and spotless. Meet Quality Property Care Ltd. - the best professional rug cleaning company with 10 years of experience in the field and with various treatments for rug stain and spot removal. Our trustworthy carpet cleaning company in Kensington and Chelsea SW has adopted the general standards in rug and carpet hygiene routine maintenance. However, in addition to these, we always tend to progress and advance. Get in touch with us to make a booking for our carpet cleaning service in Kensington and Chelsea SW today! Book any time by dialling 020 3746 4287 or posting a booking form on our website. Get in touch with us with no hidden fees and any obligations.